Yesterday was exciting. 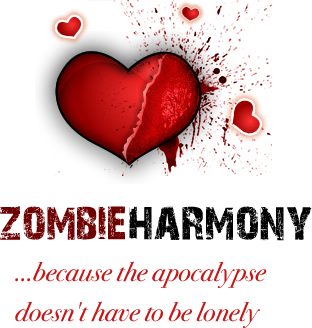 I launched ZombieHarmony - a Free Dating site for Zombies. I thought by now that the whole zombie joke had gotten old, but apparently I was wrong. The website launched and was a tremendous success - nearly 200,000 page views in the first day. I had a ton of fun writing it, too, and I kind of got back into the zombie swing of things while creating profiles for zombie singles. I didn't put much effort into the design itself, so it ended up looking a lot like the original original Mingle2 website - except zombified. This is a very useful read if you were considering dating that particular type of dinosaur. YAY!!! I GET TO BE THE FIRST COMMENT!!!! WOO-HOO!!!! I JUST HOOKED UP WITH LUV2CUDDLE!!! AND WE'RE GETTING MARRIED NEXT MONTH!!! THANK YOU, MATH-YOO INMAN, THANK YOU!